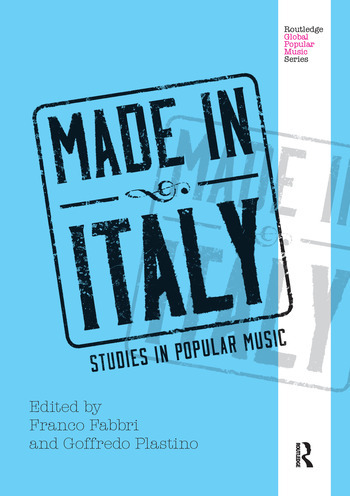 Made in Italy serves as a comprehensive and rigorous introduction to the history, sociology, and musicology of contemporary Italian popular music. Each essay, written by a leading scholar of Italian music, covers the major figures, styles, and social contexts of pop music in Italy and provides adequate context so readers understand why the figure or genre under discussion is of lasting significance to Italian popular music. The book first presents a general description of the history and background of popular music, followed by essays organized into thematic sections: Themes; Singer-Songwriters; and Stories. Franco Fabbri is Professor of Popular Music, and Techniques and Cultures of Sound and Music, at the University of Torino in Italy. He has published widely and in many languages on subjects such as pop music, genre theory and music in the digital age. Goffredo Plastino is Reader in Ethnomusicology at Newcastle University in the UK. He has co-edited multiple volumes on popular music and has published in several languages on folk music, jazz, and organology.